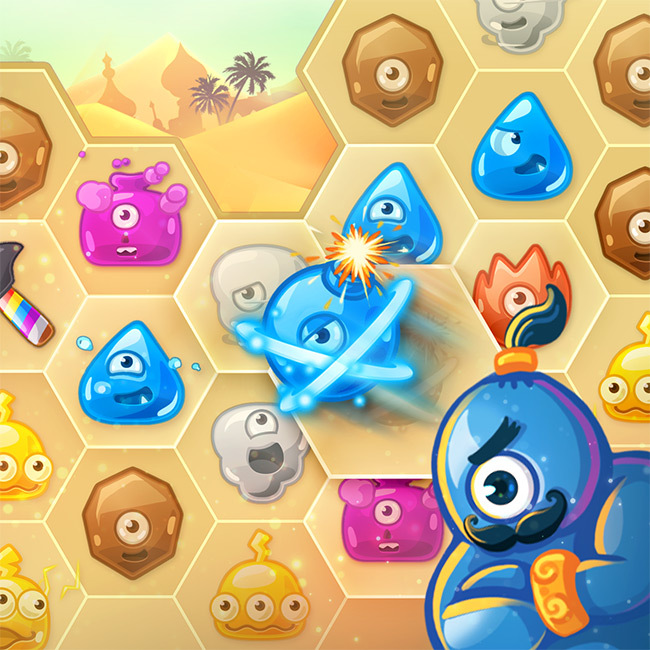 Monster Busters: Hexa Blast is a brilliant hexagonal twist on match-3 games, which inherited basics from its precedent Monster Busters and adds its own unique features to your whole mind-blowing adventure in an Arabian-themed monster tower on boards composed of hexagons. 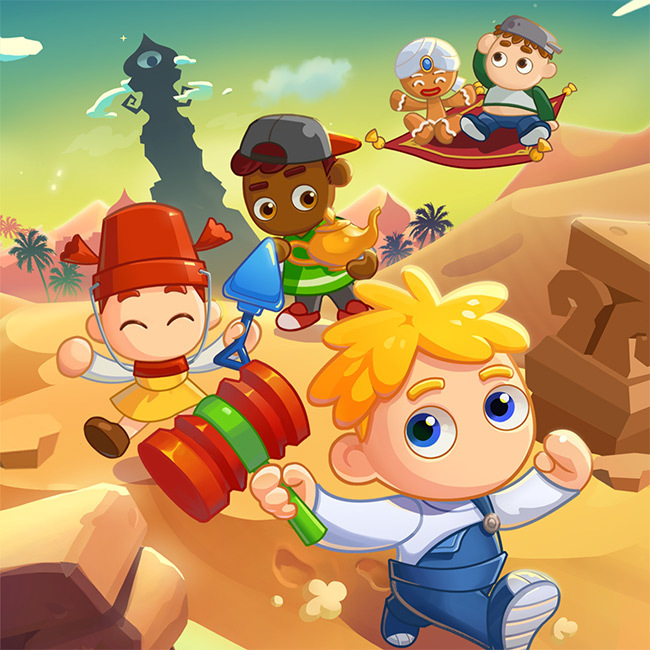 Hexa Blast was launched in February 2015 and now available on major mobile platforms such as Google Play, Apple App Store, Amazon and Windows, as well. Hexa Blast is being loved by its fans all over the world for the challenging yet fun and addictive experience it brings on, being relaxing and mind-challenging at the same time. 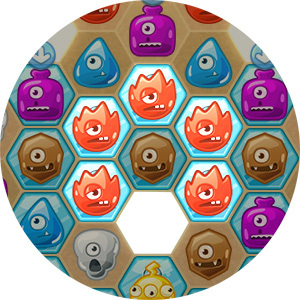 Hexa Blast brings on hexagonal twist to classic match-3, which makes matching monsters way easier and provides powerful strategic options! Build your own strategy on the boards of the amazing shapes you've never seen before! 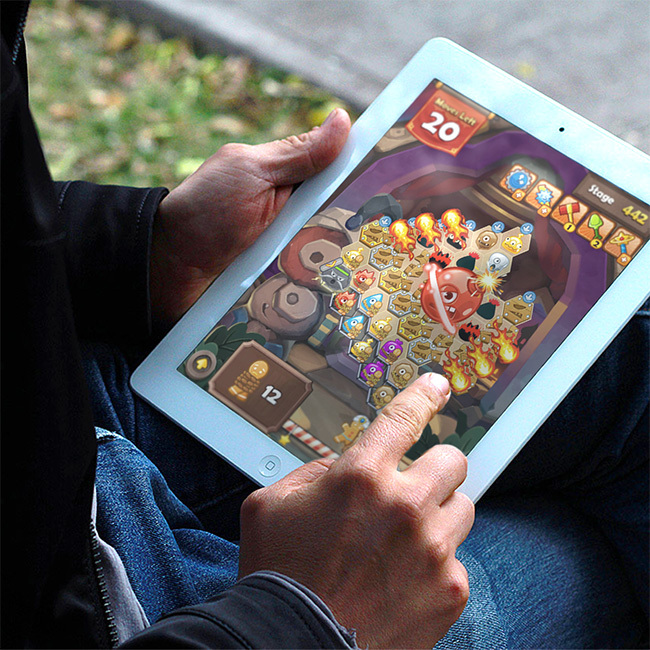 Beside regular episodes, you can enjoy playing additional challenges to diversify your experience! Fight in Weekly Championship Arena for the title of Champion and explore mysterious Secret Quests. What a fun! Go the extra mile for more stars, hero crowns, win in Weekly Championship, etc! Lots of special Badges are just waiting to be added to your collection! You can also unlock amazing Hero Avatars given to the true Heroes only!